”Smoke-fuelled and chameleon-like, tortured and released, Faye Patton exudes forgotten Jazz. Articulating and punctuating her vocal authority with her independent piano playing, this is a supreme effort of both freeform and choreographed musicianship. Definitely in the jazz pigeonhole, there are elements of highbrow funk in ‘Ripped and Torn’, boogie woogie musical theatre throughout ‘Susan Says’ and lounge blues with ‘A Game’; and more in between. 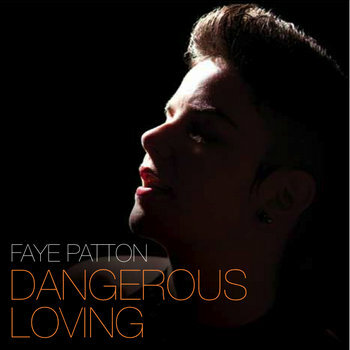 ”Faye Patton’s latest offering of thirteen original tracks in a way can only really be compared to a cross between Billie Holiday and Laura Nyro, in feeling, confidence, expression. 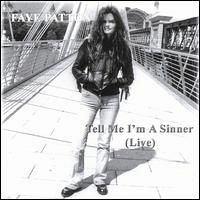 Faye’s singing might be regarded as some as affected, I prefer to think of it as a cultivated style, and one which we should not take lightly. For this is one very highly intelligent woman, vocally, lyrically, instrumentally, arrangement-wise she rather leaves most comers standing. From ‘Ripped and Torn’ with its advice to young children who have not yet grown up to the inevitable struggles of adulthood, through the sheer luxuriating sensuality of ‘Sweet Little So and So’, the knowing blues feel of ‘Bitter Seed’ and inevitably to ‘Say Goodbye’ (don’t Faye, don’t ever say goodbye to her – it feeds your music and lyrics, hold onto that bitterness and hurt in one part of your soul so that you can further mine it for our pleasure), this is a writer of breadth and depth that few achieve ever. Faye plays piano and guitar on all the tracks – and I’m not just talking of chordal grooves, although her piano and guitar rare grooves have a lilt and touch of authenticity that puts her up there with some of the great groove musicians of our time. Her piano playing and guitar playing encompass solos with an original and yet learned sensibility. Sometimes it’s so good that I find myself reaching for the notes to check whether she booked in a session player for that track – but, no, mostly it is dear Faye. There is a band too, and what a cool groove they cut, as well as being empathetic to the main lady. 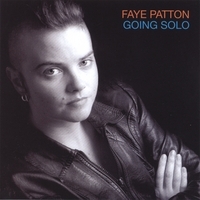 ”Three years have passed since the release of Faye Patton’s second album, Going Solo. 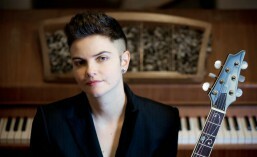 During this time away from the studio, her performances at the Isle of Wight International Jazz Festival, the Jazz Night at Stratford Theatre Royal and Jenny Roditi’s Loft Salon have confirmed her reputation as a unique Nu-Jazz pianist/vocalist/songwriter, but left her fans starving for new material. Before we have a chance to enjoy the brand new songs she is currently writing and recording (due for release this year), let us dive back into her intimate and musically chameleonic solo effort. Every musical artery of Going Solo tastes like candlelight, waves, sunflowers, mountain peaks, abysses and grains of sand. It has the sound of redemption, loss, the irony of love, anger, regret and worship. Meticulous in its description of feelings, in its choice of notes, the vocals climb up on branches of chords which suddenly dilate like pupils onto a sea of new harmonies – tight funk to flowing ballad, in the space of a second. Raw. Naked. Here are Faye’s bones. Well-known voices perspire from the eleven tracks: she is Tapestry’s Carole, she is Georgia’s Ray, she is Under the Pink’s Tori – she is Faye, full stop. The coherently incoherent melodic shifts reflect her ability to absorb musical universes like earth and rain, conceiving – only herself. It’s not the destination that matters – it’s the transition. Her lyrics are light years away from generic love-la-la. Each song in this set of nine tells an intriguing and gutsy story. She captures conflicts, disappointments, raw passions, and empathies. “Gallows Flowers” intimates the epic and historical edge in her writing and “Woman on the Tracks” throws back to a silent movie staple which was well overdue for reframing. Here the idea becomes a heartfelt declaration of support for said woman. What’s Faye gonna do to help? Well she’s gonna get right out there and lay down by her side of course! And she has a voice of such frankness, honesty and warmth that she could make you believe if you were tied down on those tracks she’d be there by your side.